We’ve been to Freising several times over the years always as a day trip from Munich. It’s a good excursion and we have both cabbed and walked the long hilly road up to Weihenstephan, the world’s oldest brewery. 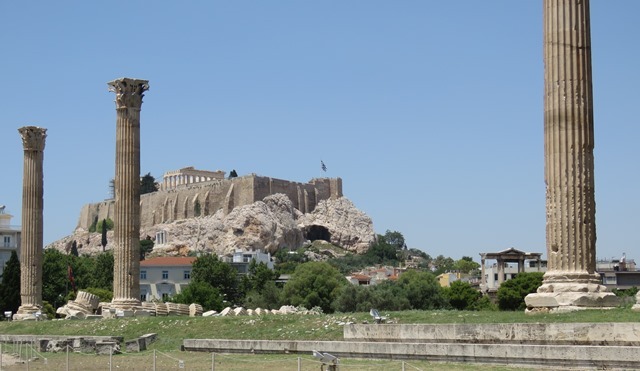 This year we had two days between flights into and out of the Munich airport which is a bit less central to downtown Munich as Dulles is to Washington DC. 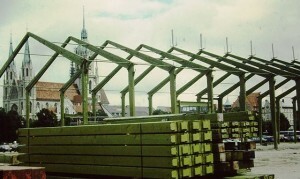 Freising, however, is much closer and we decided to spend the two days there. 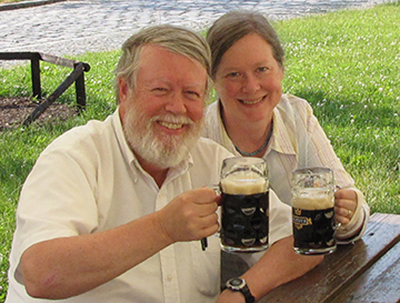 We discovered that there is much more beer to Freising than Weihenstephan. 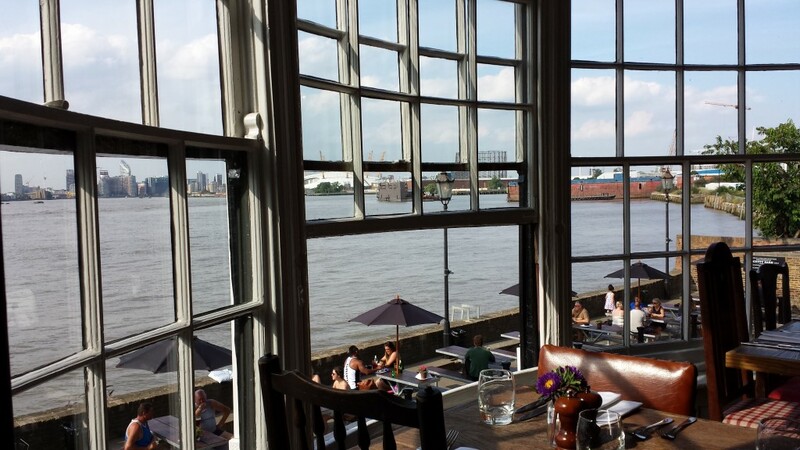 In addition to the three breweries in the town, there are other first rate gardens within cabbing distance. 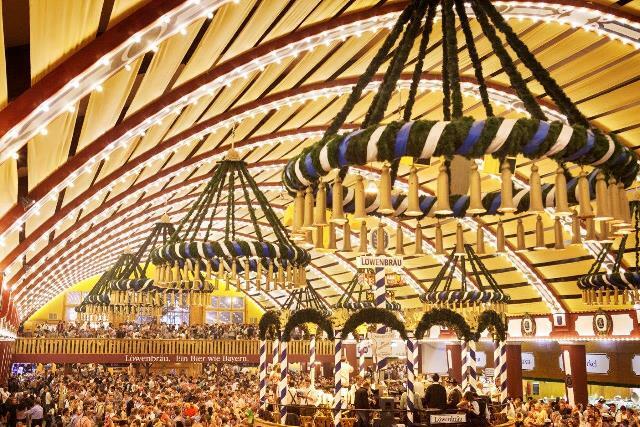 We were surprised and pleased by the Hofbrauhaus Keller, Lankesbergstraße 5, uphill from the station and a fairly easy walk from the Marriott Hotel. 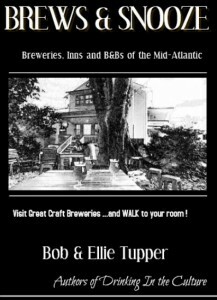 The original brewery dates back to 1160, missing the “oldest in the world” by just a bit more than a century. 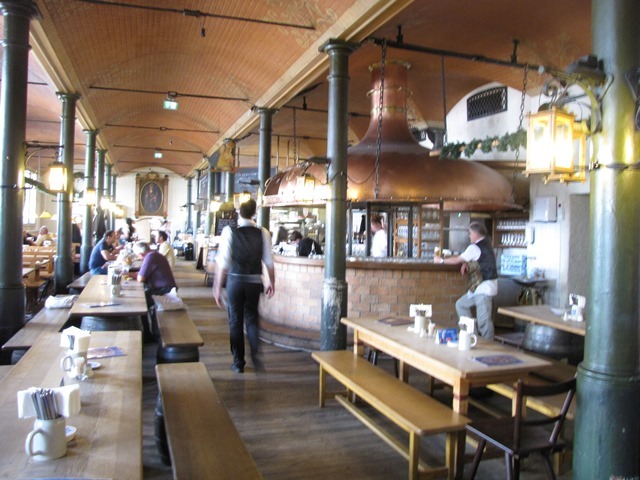 Hofbrauhaus Freising dates from the 12th century, but the brewhouse is a 10th century gem. 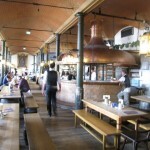 Hofbrauhaus Freising Keller: The serviced tables overlook the brewery. 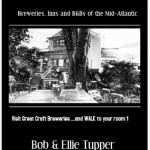 We’ll feature some of their very fine beer on our Beer of the Day this week. 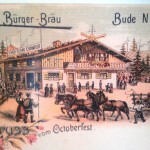 The brewery also now brews the beers of the Weissebierbrauerei Huber which operated independently from 1860 to 1976. 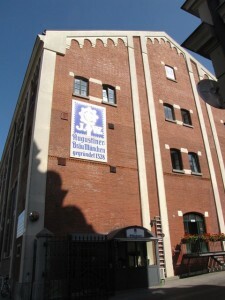 The former brewery site is now the site of the Wirtshaus Weißbräu Huber and it says the beers are still brewed to the former brewery recipes. 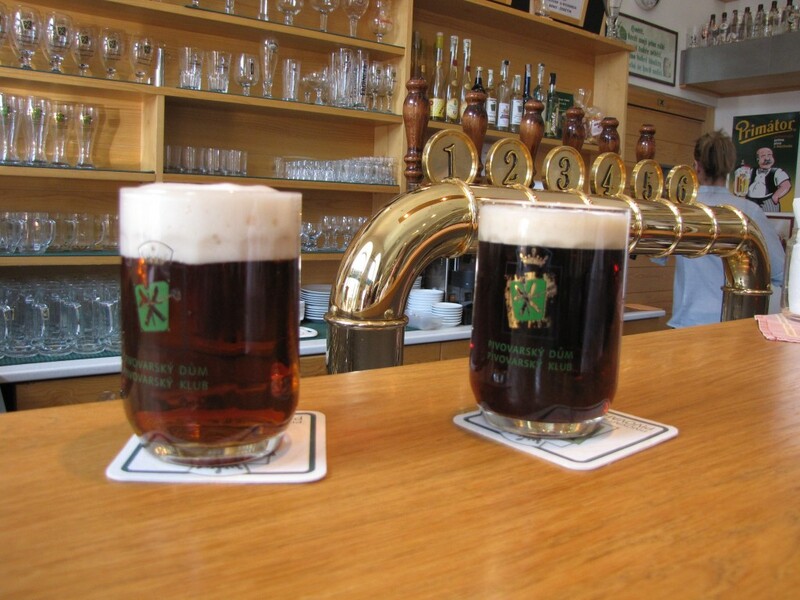 The location at General-von-Nagel-Straße 5, makes it one of the most convenient places to drink Freisinger beer; it proudly never takes a day off which certainly isn’t true of the next stop. 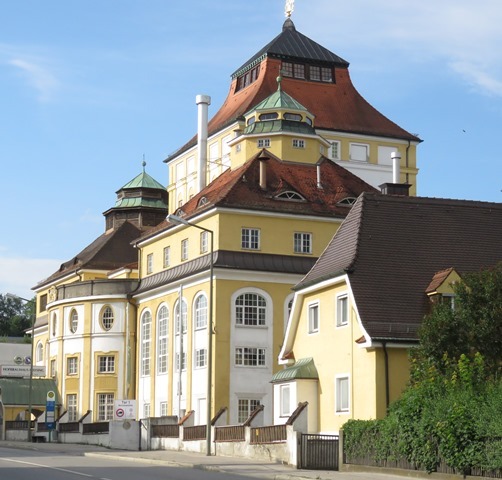 It’s a loooong walk to Freising’s other “other” brewery – you’d best get a cab or take the 623 bus from the train station. 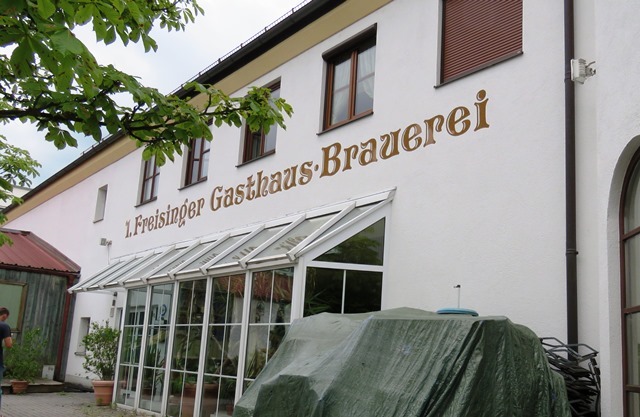 Freisinger Gasthaus Brauerei will put you up and feed you – if they’re open. 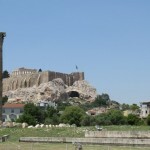 (They take a part of the summer off.) 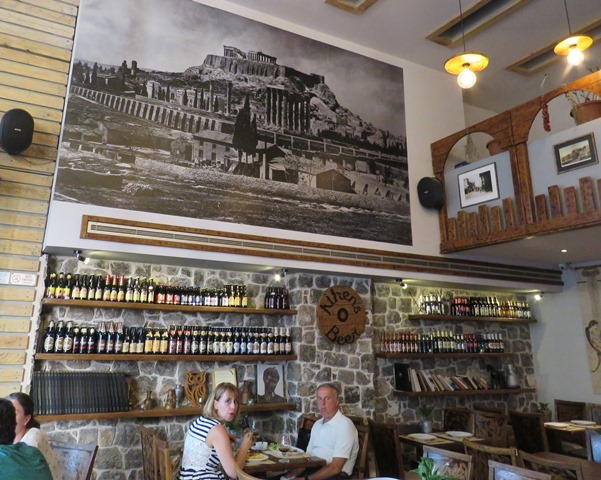 It’s by far the smallest brewery in town and you won’t find the beers as sophisticated but it is a change of pace from the larger breweries. 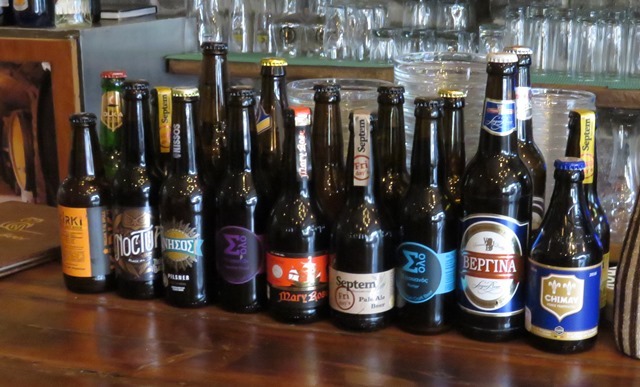 Just a few doors down from the gasthaus is a lot where taxis are kept – you can get the number of the company from the door of the cab for the 15 Euro ride to Weihenstephan. 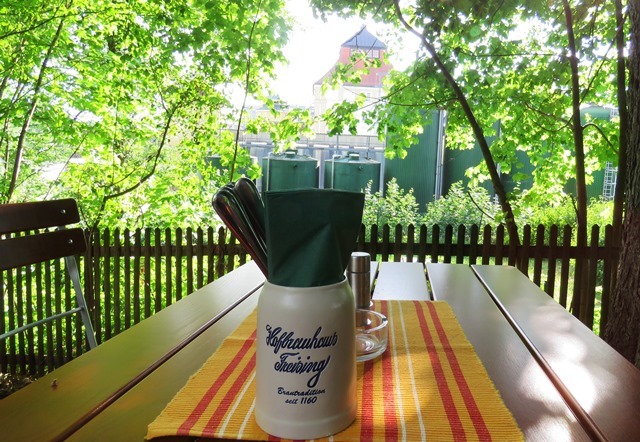 The Weihenstephan garden overlooks gently rolling farmland and is a spectacular place to drink in good weather. 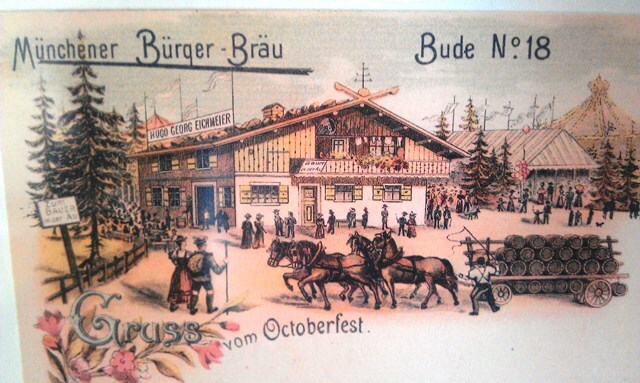 The older rooms of the Bräustüberl beckon when the weather is nastier. 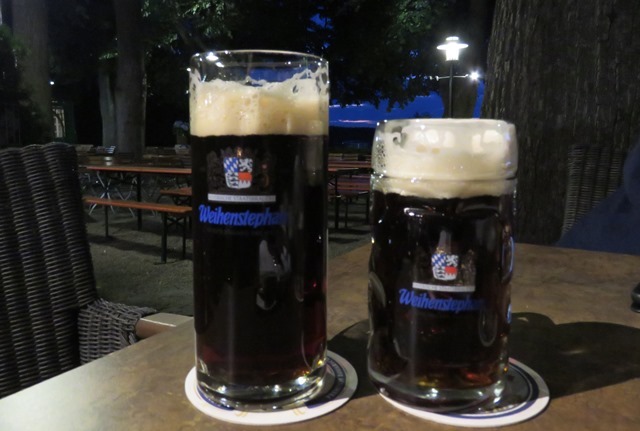 Although best known for its Hefeweizen, Weihenstephan also makes some excellent dark beers. 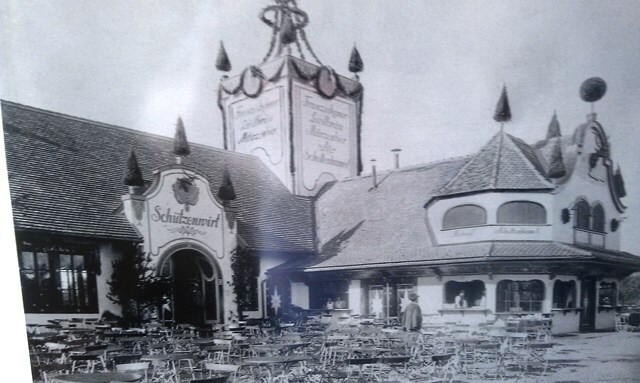 The “allee” that once led to a castle now shades some of the 3000 revelers at Schlossallee Haag. 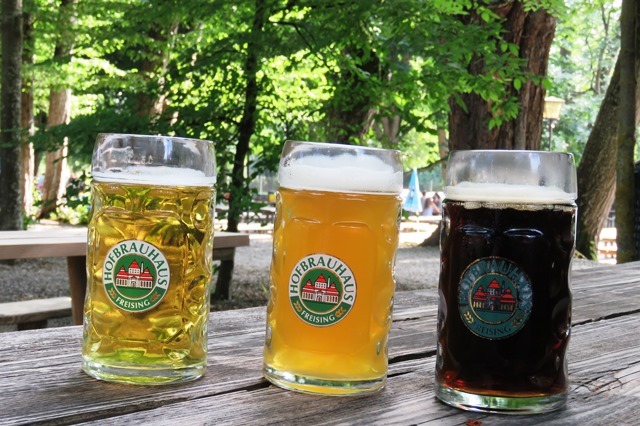 Our favorite source for biergarten hunting, (http://www.munichbeergardens.com/Main_Page) alerted us to a first class garden not far from Freising. A fifteen minute cab ride in Germany is not cheap, but it’s a fraction of the cost of getting here, and delivered us to one of the best garden nights of the trip. Schlossallee Haag, in Haag and der Amper (warning – there’s another Haag somewhat farther away. 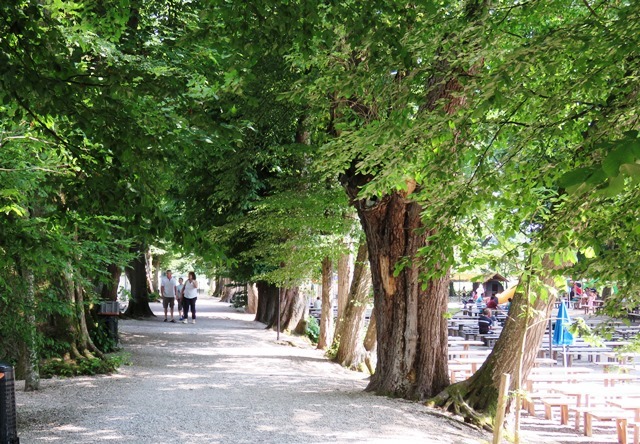 The “allee” refers to a chestnut tree lined path to a now demolished Schloss, but many of the trees still stand and it’s easy to find shade among the 3,000 seats on a sunny day. 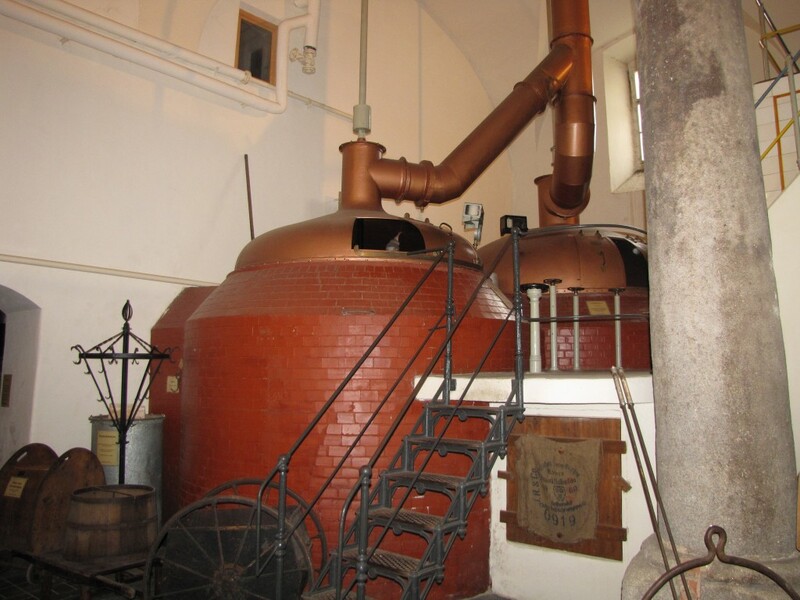 Some ponds and unusual plants remain from the castle grounds as well as an old brewhouse that produced the Jäger bier for about 200 years before production shifted to Hofbrauhaus Freising. 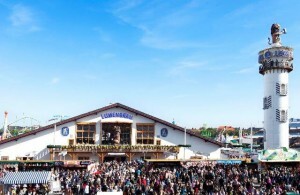 The Jäger is the best of three very fresh very good Hofbrauhaus Freising beers pour from the taps and the food stands run by local merchants provide unusually good choices. Kids frolic in a huge playground while their parents frolic in their own way nearby. A strolling accordionist brightened the mood when we were there and larger acts occasionally play on the substantial stage. Be sure to get a card from your cabbie on the way out and give him a some extra time to retrieve you. 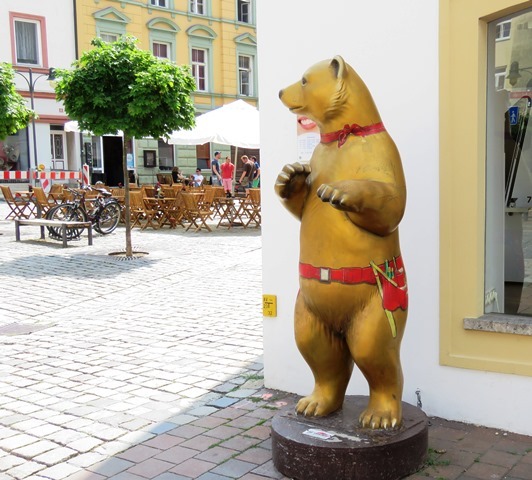 Munich has lions; Freising has bears. 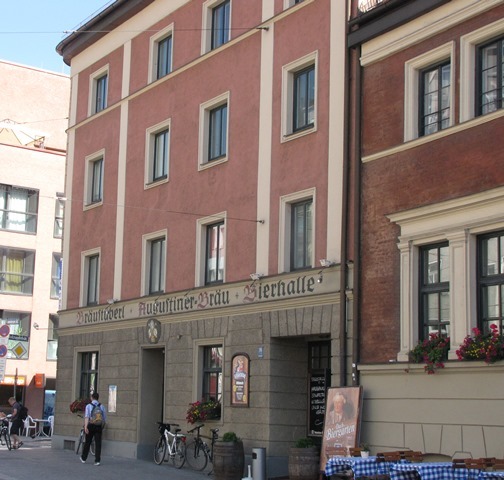 Staying in Freising instead of Munich can save a pot of money on a hotel; rates for an excellent hotel like the Marriott can be less than half the downtown tariff.. 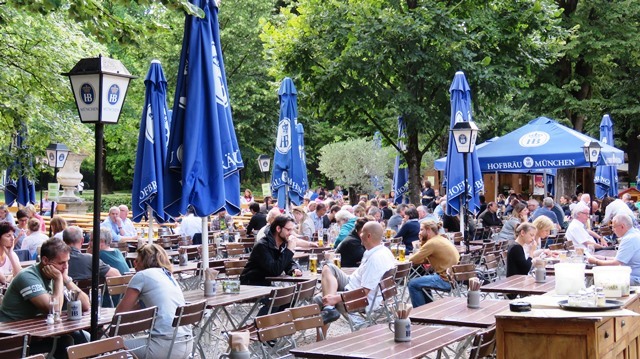 The half hour not-so-frequent S Bahns ride is annoying, though it’s quicker to get to Munich’s two best beer gardens – Hirschgarten and Augustiner Keller.